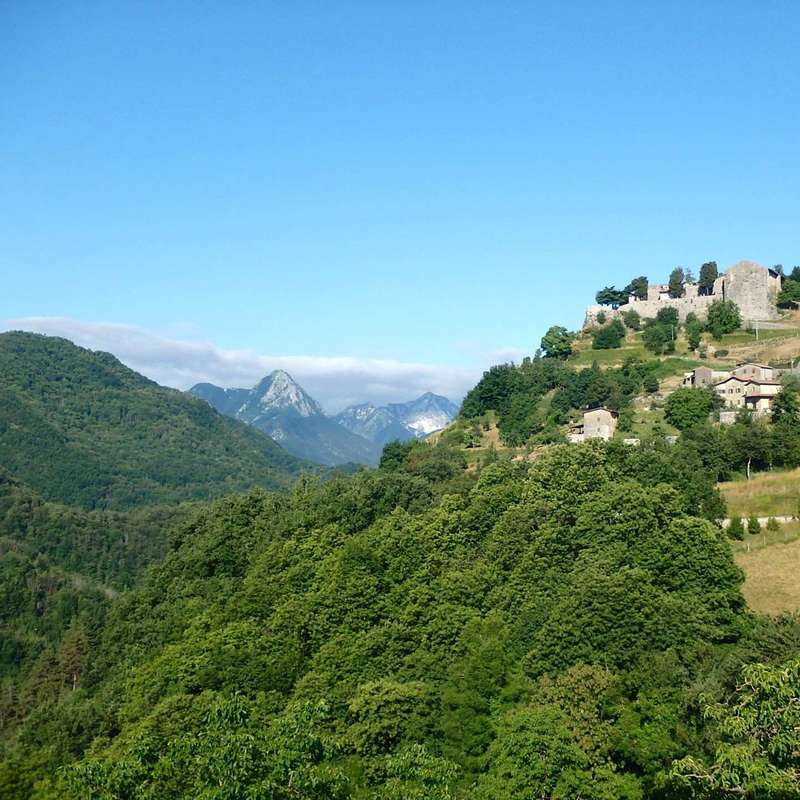 We want help from Now with an ancient and big house we possess in Garfagnana, a lovely and peaceful area in the hills (almost mountains) of Tuscany. It's a truly beautiful house, once possessed by one of the 1000 Garibaldi's Red Shirt and soon afterwards bought by my grand-granfather. 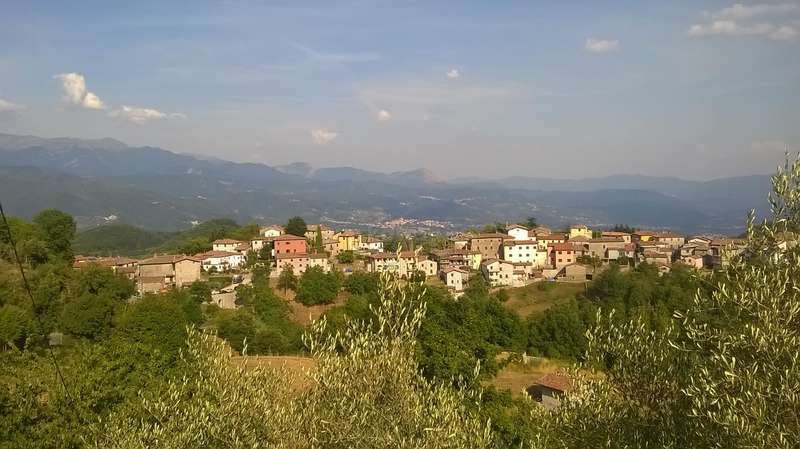 The surroundings are stunning for all those who love and enjoy Nature: the village in which the house is located (Sassi di Molazzana) is very small and the place is really quiet. All around you can find woods and paths to follow. We want to host smiley-peaceful human beings. Solo-travellers ready to share and expand their already open mind. "In Learning you will Teach & in Teaching you will Learn". We are curious beings, and we Love to listen, learn and widen our horizons. We are looking for the Ones on their Path of self-descovery and self-Love. Talking about us, we are peaceful people. My dad Paolo, my 12 years old brother Francesco, and me, Silvia, 26. We have a lot of interests we are developing, and our lifestyle gets healthier as time passes. We are heading in the direction of a more and more Natural Lifestyle, also concerning the care of our bodies and the selection of out thoughts. We eat vegan food (at times dad consumes eggs and honey, but that's the only exception), often simply raw food, we like to walk and being sorrounded by Nature. We go and fetch fresh spring water very often, as we are so lucky to have an alkalineand oligominerale source of water close. Both me and dad are first level praticioners of Reiki (and I attended also a seminar about Reiki della Nuova Energia). Silvia: I am a Yoga teacher, I Love to guide meditations and I lead Mantra-chanting events. I live in Lucca at the moment. I have a bachelor degree in Psychology, and I have been travelling as a workawayer as well in both France and Spain. I am a certified Thetahealer, and I practice Theatahealing daily. At the moment my daily job is in a (beautiful, magical, enchanting) Crystal shop in Lucca. I feel so blessed to have been hired here, I love my job. I have been working on myself and on my healing path for 6-7 years now, and made Huge steps forward, bringing Light and Awareness inside. I'm in Love with Life and I respect each expression of it. I feel that my Mission on this Earth is to uplift mankind and raise the vibrational frequency of our beautiful planet. Francesco : My brother is a wonderfully spectacular man-in-the-making. He currently lives with his granparents in the north of Italy. He has always been an inspiring kid, funny and full of interests. He's an explorer, an inventor, a little chef, an electrician (when he was ten he was already able to create a functioning cable and plug), he loves to take care of plants and is so sweet and loving with animals... I could go on forever. He's simply adorable, and everyone loves him. Paolo : My dad is a kind and generous man. He has been on his healing path for years as well, and he is learning more and more how to take good care of himself and how to let go of what no longer serves him. He practices the Five Tibetans daily and he considers himself his own doctor (as he has healed many illnesses he used to have in Natural ways). He's a very charismatic many, loves to talk and share all that he knows. Generally good and funny stories, and super-useful tips about wellbeing and eating wonderfully-tasting-healthy food. Who we Now are is a result of who we have decided to become. Our lives have not been easy ones, and this has made us stronger and more willing to always look on the bright-side of situations. Life can be challenging and it has been so for each of us (obviously in a different way for each one). At the same time we have been blessed with many Miracles to be grateful for. I firmly believe that Happiness is a choice, and I choose to make the best out of each and every breath I breathe. I am speaking directly to you now, reading this. 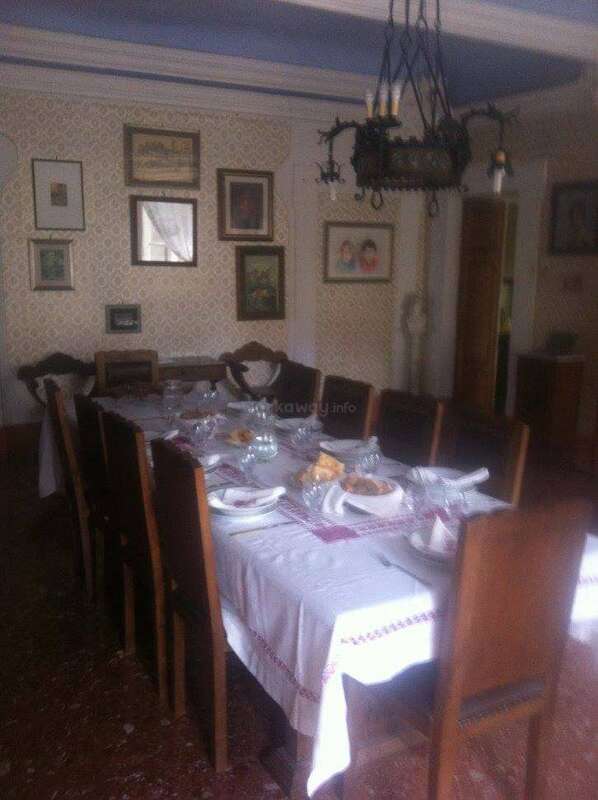 We offer you a single room, nice and healthy food, great conversations and the chance to be yourself, in the knowledge that you will be accepted and loved as you are. Come, help us, feel part of our family and let's make some steps on our growing paths together. We're very happy to share our knowledge. With us you will learn a lot about a healthy lifestyle, how you can take care of your Body, Mind and Spirit trough natural ways. The job can vary from help in cleaning, taking care of and renovating the house, help in sorting out the clutter, washing the dishes, electric and hidraulic work, gardening. The accomodation would be of single rooms. Please note that this is a cruelty-free place. We love animals and we do not eat them. So if you come, you have to be happy to eat as we do (no animal proteins). The place is sorrounded by Nature. Lovely woods all round. The nearest city are Castelnuovo di Garfagnana, Gallicano and Barga, Castelvecchio Pascoli (where the known poet Pascoli used to live). Lucca is 50 minutes far with the car, Pisa and Florence are a little bit further. Runes reading. Me with Gang, Patricia, my sister, Nikki and my brother. A view of the village of Sassi. Francesco and Liam on top of the mountain. 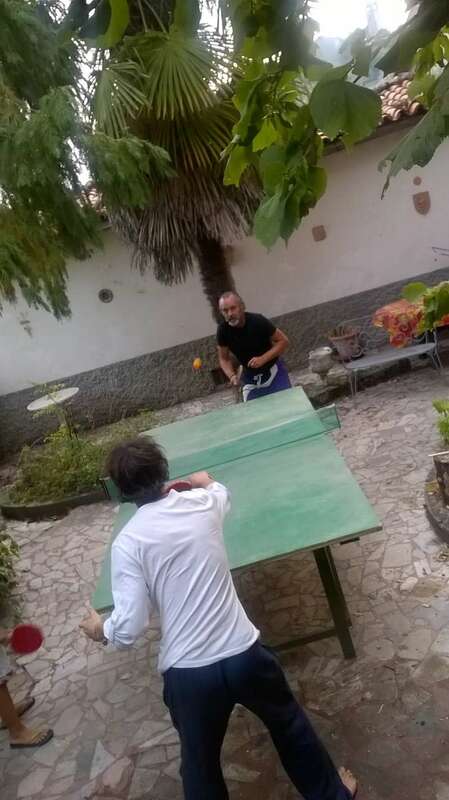 Liam and dad playing ping pong in our garden. I stayed in this amazing old house for just 10 days in March and that was such an amazing time (despite the cold and rain outside!=). The location and its surroundings are so breathtaking and even 10 min walk could bring a lot of joy. The village is small and quiet, so if you are looking for peaceful time - that's the place to go. And the sunsets!… read more Pink, blue, purple - the most amazing colors I've ever seen. Thank you, Paulo, so much for everything, especially for your precious advices regarding healthy well-being. It was a pleasure to share food, thoughts and experience with you! Hope you liked Belarusian draniki we cooked together). My time at Paolo's house was very nice. He loves to cook for his guests, and loves to share experiences. The work is always fun with Paolo, and he attracts like minded people. It was very nice to have a quiet space to be myself in the Mountains of Italy. I loved gathering fresh spring water with him. I'm sure spending time in the spring or summer… read more would be an unforgettable experience. It was a bit cold in the winter, but I didn't mind because I am used to cold temperatures. The house is very old and filled with interesting trinkets and artwork. I would suggest this place to anyone looking to escape the busy city life , and make amazing connections that will last a lifetime. Mia is a really nice person. She stayed with us 3 weeks and has been helping in a very good way: alway available and willing. She helped a lot around the house, always asking if there was something she could do. Mostly, Mia had a great energy that was very welcomed around the house. Her smile is very beautiful… read more and contagious! Marion is a beautiful Soul, starting to discover the world. You will be happy to host her, she's a smiling presence happy to help and interesting to have around. We have enjoyed the time spent together, each word exchanged and all that has been shared. We wish you happy everything darling. My heart is filled with so much love and compassion towards family&co. From the moment I arrived, they were very welcoming, open and kind which helped me a lot to feel comfortable in the new surrounding. I was quite surprised how… read more quickly I settled down and how the house and Sassi in general started to feel like home to me! Speaking of which, Sassi is such a cute little village with a truly stunning view all over the place. The first few days I was constantly in awe, overwhelmed by the beauty of my surrounding. Everyone who comes there will probaly fall in love with this place. It felt like paradise! The work I did has been diverse. It ranged from cooking, doing laundy and cleaning over organizing rooms to working in the garden. Although, of course, it could sometimes get exhausting, the work was certainly human, they showed gratitude for your efforts and I had enough freetime. Moreover, for sure you won't starve in this house: Paolo loves cooking and in combination with the fresh local food (even from their own garden), eating has always been a pleasure (self-made bread, pizza, fries&co and for me everything in gluten-free... again, thank you so much Paolo)! But as if that wouldn't have been enough on its own, we have taken a wonderful hiking trip, spent some fantastic days at the sea, visited Lucca and Florence and probably did more cool stuff ;) I was truly grateful for all of that! With the other workawayers work and freetime was even better and we had great times together! In the almost one month I've spent in Sassi at the house, I have truly taken the people around me in my heart. Ellie is gentle and kind, a happy presence in the house. You will be happy to accept her as a workaway!! She has helped us a lot, doing everything we've been asking. We Love to share our interests and passions, and it has been good to share with you. We wish you a bright future and great adventures! Dovile is truly a kind, warm-hearted beautiful Soul, you will be more than happy to host her. Always smiling, always ready to help, she's a joy to have around. She has been helping us a lot, and we're very grateful. It has been a pleasure to share stories, passions and activities with you Dovile!! We wish you to always be treated kindly by… read more the Universe, as you deserve only the best there is. Thank you all of the Pocai family for accepting me and giving me a chance to grow more and sharing your life with me. This place has such a healing energy. Just being and talking with you I discovered so many new things about myself and the world. I learned a lot of new thing and some were reminded, aloe was the new discovery for me, oil pulling,… read more five Tibetan, juggling. Organizing and taking care of such a beautiful house was a pleasure, I liked discovering unknown for me old, interesting things. The food Paolo made was amazing, he's such a good cook. You get different dishes every time. He teaches and tells you all about them if you're interested. Thank you for taking us to the mountains, helping us to go around exploring cities, being pacient and kind. Wonderful experience that has changed my life for sure. I have come here to find answers to question marks in my life but found much much more and it felt both overwhelming and amazing! My experience in this house, with this welcoming family, was really incredible. This was my first workaway and I will never regret this choice ! Paolo, Silvia and Francesco are wonderful people, everyone is as a person, and as a family as well. I stayed for 2 weeks, and it was the most peaceful, learning and loving days of my summer. I loved to… read more work there, cleaning inside the house, or the garden, trying to cook different food, and organizing all of the house's old objects. There, coconut oil and aloe are gently fighting for the crown, and these two queens still remain in my heart (and my skin). The first member of the family I will describe, is the huge, red, mysterious house, which presence was so intense in my stay I can say it was nearly a person. All these dark rooms full of random things, are unforgettable. It was really satisfaying to see my work's evolution during these days. Paolo is a really kind man, who always adviced me on a lot of topics, like health, the benefits of the sun, how to deal with mosquitoes bites, and how to cook DELICIOUS dishes. He was always taking care of everything. Francesco is a joyful and full of life boy, always trying new thing with such innocence, creativity and curiosity. Silvia taught me a lot, and I keep thinking so much about our conversations. Meditation, yoga times, talks about the body, the mind and the Soul were so interesting, I will continue to think and mature all of these thoughts. I saw the beauty everywhere during these two weeks, and I could keep going describing everything I loved and learned there for pages ! With my mind's eye I can still see Apolline's broad smile and hear her joyful laughter. Such a pleasure to host her, she's a bright and happy human being, a peaceful presence to be around. She's has helped us a lot and we're very grateful. Ask her to speak in french as well sometimes, her voice is adorable. Totally reccomended! You'll be… read more happy to have her in your place. Thank you Beth for everything you did to help us. It's been a pleasure to host you. We wish you all the best and happy travels. 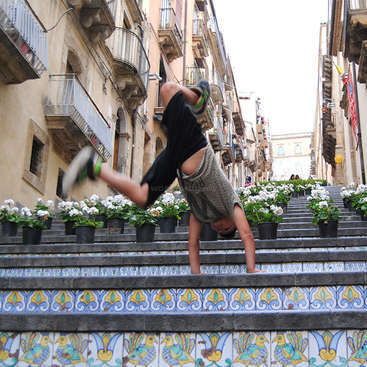 I stayed for 10 days with Palio and helped him organize his home. He is a gracious and fun loving host. I LOVED his meals and learned a lot about vegetarian cooking. I highly reccomend this host!! Cleo is a beautiful woman on her journey. We are very grateful towards her, she's kind, gentle and eager to help. She has done everything we've asked her in an excellent way, she's surely someone you can trust and rely on. Cleo, we wish you a happy and Sunny Life. Love & Gratitude. I loved my time in Sassi! This place is mindblowingly beautiful and changed my life. Paolo and Silvia are the most accepting and loving people. They taught me so much on how to cook and guidance in meditations and all about crystals. They just beam love and light into this world! They took me in as one of their own and shared all that this region… read more has to offer. It was so magical! Blazia is a precious human being and you will be happy to host her and to have her around. She's kind, curious and full of skills. She's been extremely helpful, achieving so much in making the house a nicer place to live in. Blazia embodies the most beautiful qualities that a Yoga teacher can have: gentleness, a Loving Heart and infinite… read more patience. We're very grateful to have hosted you sweetHeart, and wish you all the best in each and every day. Thank you so much dear Amy for everything you did for us. We're happy our path crossed and that you've spent your time with us in our house. You've been helping in a really dedicate way, always doing your best and always achieving so much. Always happy to give a helping hand while smiling, she did SO much for us, and we're so grateful. We really wish you all the best in your travellings. Thank you very much for your time spent here. I believe in Law of Attraction, and so I am sure that your frequency is very high. We’re very grateful for your huge help in the house, you’re a very efficient person and hard worker and you really did a lot for us. Thank you as well for all the language lessons to Franci, you’re a great teacher and… read more he loves you dearly. You have a big space in our hearts, you will always be welcome. This was my first workaway experience and I couldn't have found any better place for that. I was blessed founding Paolo and his son in the hills of Italy. Paolo is so generous and friendly, way… read more before we even met, I'm really happy that the universe let our ways cross. I enjoyed every single minute there, surrounded by nature and peace. After the lite work I get the opportunity to just be and I'm super grateful for that. Paolo and Francesco, thank you for the past two weeks that I got to spend with you both, eating the best vegan food and drinking the freshest… read more water! As soon as I arrived in Sassi, I felt so welcomed by this family. The view from my bedroom each day was spectacular; rolling green hills and mountains. The trails that I walked each day were so peaceful and healing. I was planning to stay from the end of July until near the end of August, but unfortunately I had to leave after 6 days due to unforeseen circumstances. However, staying with Paolo and Francesco was a very interesting and different experience for me. I learned many things, such as recipes I've never heard of, and using natural ingredients instead… read more of store bought products. Paolo also made very great food, which I was grateful for. 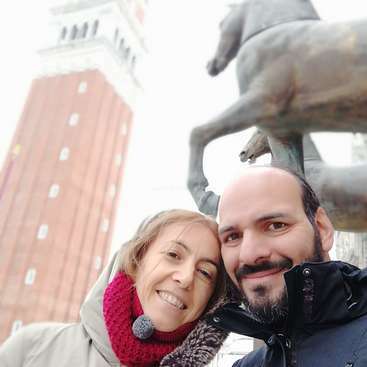 Francesco gave me a small tour of Lucca on bikes, and although at times it was hard to understand eachother, I think this challenge made the experience better since we found ways to communicate. I mainly helped with cleaning here and there, dishes, moving bags into the house and re organising different parts, and went for a few walks in the village of Sassi. Thankyou Paolo and Francesco! It's been really nice hosting Ariana, she brought with herself a very calming and peaceful Energy and was pleasant to be with. She helped us a lot and also cooked some really delicious dishes for us to enjoy. We shared some of our passions and had very interesting talks. Words cannot begin to describe my experience here. The whole family was so so loving and wonderful. I spent the first 4 days with Paolo and Francesco and instantly felt so welcomed. Then I Silvia and Roberta came and we instantly connected. I learned so much from staying with this family...things that I will hold onto for a lifetime. From… read more cooking, to meditations, to learning more about law of attraction...The universe was sooo generous in letting me stay with this beautiful family. This woman is an eathly Angel, and we've been immensely happy to host her. She's very calm, helpful and always with the brightest smile on her face. Such a peaceful Energy, such a lovely voice, we feel blessed about having had the chance of hosting her. Thank you so much Rachael for the time spent together, for the source of inspiration that you… read more are, for the dedication that you put in all that we've asked you to do. This woman is a Blessing. Hosting Isabella has been a great joy for us all. She's a wonderful Soul with a kind heart and a very understanding mind, always ready to help and share her broad knowledge. We really loved the yoga sessions directed by her, what an inspiring human being she is. It's been an enormous pleasure to share with her, live… read more with her, be with her. Endless Love, and much gratefullness. Gang really helped us in solving some technical issues in the house, a funny presence and a resourceful man. Very kind and easygoing, even in just few days we grew fond of him. This wonderful family opened up their mountainside home to me for 4 days and what a transformative experience it was! They were extremely accommodating and I learned so much during my stay. The house is gorgeous and the surrounding landscapes and towns are beautiful beyond description. Hope to see you guys again one day! Solveig is a beautiful Soul, and we've been very happy to have her here with us. In the middle of the mountains (okay, officially the hills) there is an old, beautiful house with an absolutely amazing family. This home is truly filled with light, happiness, health, spirituality and wisdom and I have been so fortunate to have taken part in it for a little more than a week. The work was really interesting as I helped out… read more organising a room in the basement and move a lot of books, some of them around 100 years old, which felt like an adventure as the objects were full of surprises. Even cleaning the house was nice, as it didn't feel like work when the house is so interesting and full of surprises! We also went hiking in the beautiful mountains and saw the city Lucca not even to mention all the other wonderful experiences I had during my stay. Thank you for your hospitality, wisdom, great cooking skills, lovely conversations and moments shared dear Paulo, Silvia, Roberta and Francisco! Thank you Diana for the beautiful words, we're very thankful for your help and for making the environment in which we live even more welcoming. Thank you from all of us, it's been very interesting to listen to you and learning about your culture and your personal experiences. We wish you all the best and that all of your wishes can come true. Last Thursday I arrived home from this beautiful house in Sassi, were I spent nearly 3 weeks. It was very interesting and saturated journey. Before the trip, I thought, that all the time I will spend in the house on the mountain relaxing and enjoying the nature. But everything happened unexpectedly and my journey turned up into very exiting… read more trip! I had opportunity to visit Lucca, Pisa, Viaraggio, Prato, Florence and also some picturesque places on the bank of the Liturgical sea. 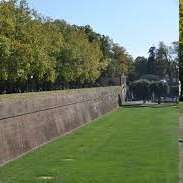 I was fascinated by the splendor of Lucca and strongly recommend to everybody to visit this wonderful town on the way to Sassi. My staying in Sassi was very interesting, too. We were opening the house from the “winter sleep” and cleaning up the garden. In free time we went for walking around the village, doing yoga, or just sun basing in the yard, also we went hiking to the mountains. But most of all I liked to go for the water to the spring in the mountains and watching stars in night from my window. Thank you for you hospitality and care! I wish you health, prosperity and fulfillment of all your wishes! Admittedly a very delayed piece of feedback, as i spent 2 weeks with this family in Summer 2015. But in all honesty, its very difficult for me to put into words how i feel about this family, they truly changed my life forever. It was such a spiritually enriching experience for me, every day was spent contemplating the universe & sharing new… read more ideas with one another, eating delicious food, laughing, loving and learning. Ontop of all of this, the house is set in an extremely picturesque part of Tuscany, we picked blueberries in the mountains, visited the marble caves, fetched natural spring water from the mountains.. the list goes on, like i said there's just too much to say. I wish I could express how pleased we have been of having Jem with us . It felt like she was part of the family and helped us really a lot. She's a gentle soul, with a joyous personality and she has an amazing skill in organizing things. She's kind, honest and a happy presence to be around. Thank you again for everything. 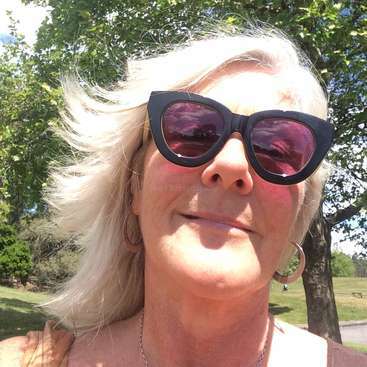 It's been great to… read more share with you. Thank you so much Rebecca for the time you spent here!! Her presence in our house brought fresh new energies and harmony. She finished all the tasks she started, and in a stunning way, taking care of details as well. It has been a pleasure to share and talk with her… read more about a vast variety of topics, and spent wonderful moments together. I have nothing but love for this family! I had a truly wonderful first Workaway experience with them, they are each and every one of them kind and interesting people to share ideas and good conversation with, especially around health and wellbeing (and I did pick up a bit of Italian vocab!) Living with them and working in the house this summer has… read more been a very enriching experience. Tasks were varied and working hours flexible and I found myself fully absorbed in clearing rooms, lots of cleaning and organising furniture, photos and ancient books. The exhilaration of opening up shutters and windows that have not been touched for many years, clearing away the cobwebs and letting light flood in was magical for me. I love history and that fact more was being discovered about the origins of the house whilst I was there was very exciting. I also turned my hand to a spot of cementing a window, which I'll be proud to have on my C.V! I also really loved the views and the nature around the house; collecting water from the mountain, eating hazelnuts fresh from the tree and climbing Piglionico was very special and a first I will never forget, and also visiting the caves beneath. The vegan food was delicious too. I could go on! But I will end by saying this was an unforgettable experience for me, and I thank you dear Silvia, Paolo, Francesco and Roberta for everything and hope to return and see you all again. Thank you so much for your time spent here Liam. Our doors look really beautiful and as that was for him both a new job and something he didn't really love doing, we're really grateful. He's a very interesting man and we talked about soooo many different topics that my mind is still spinning. He has a very close relationship with Nature and it's… read more a pleasure to see him walking barefoot everywhere. Happy journey man, hope to see you again!! Thanks to Andres we can walk again in our backgarden, wich is a great achievement! We have been happy to have him around and to share those ten days with him. Perla worked really a lot for us, and helped making the house more liveable and pleasent to be in. She's a lovely and peaceful soul who is good to have around, and we have been really happy to have her with us. She's also very honest and reliable. I spent a wonderful time in Tuscany, happy, peaceful time. 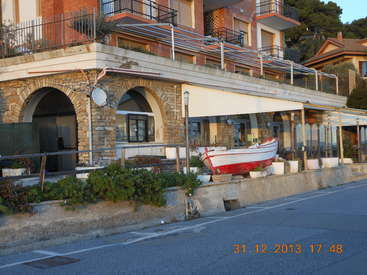 Silvia, Roberta, Francesco and Paolo are a welcoming family and excellent hosts. As Silvia described, there's a lot of stuff and that need to be sorted out, and for me -I love vintage and old things/stuff- that means lot of fun!! The meals are absolutely delicious, and the sorroundings are… read more beautiful and lovely. I had the privilege to enjoy a fantastic day, trekking the Piglionico with the family; and Lucca is definitely a city worth visiting (there's a bus to Lucca, from Sassi). I'm absolute grateful for being chosen as your workawayer! Silvia, Roberta, Francesco & Paolo, gracias totales!! I don't know how we would have survived the very first days without Mandy's helping hands. She is a wonderful soul with a lovely Energy, and it was a pleasure hosting her. We shared so many things and topics with her and she really felt like part of the family. It's interesting how 10 days can feel like a lifetime in the best possible way. My time in Sassi went by very quickly and I so look forward to returning. This family is lovely. . . kind, loving, open hearted and open minded. I felt completely at home right away and together we started the process of opening up this lovely old home. Because… read more the house hadn't been opened before we arrived, Silvia was kind enough to give me her room and I was blessed with the most magnificent view of the mountains out my window! This tiny village is quite isolated but there's a little cafe with friendly staff and you will find an abundance of nature and lovely hiking tracks straight from the house. There is a bus that services this little village but I never got around to sorting out the schedule, I found lots to do without leaving. I was treated to a couple of excellent outings ~ the highlight of my time being the trek to Pania della Croce. What an experience!! If you're interested in experiencing the beauty of Tuscany, spending time in nature and sharing space with a really kind family ~ this is the place for you. 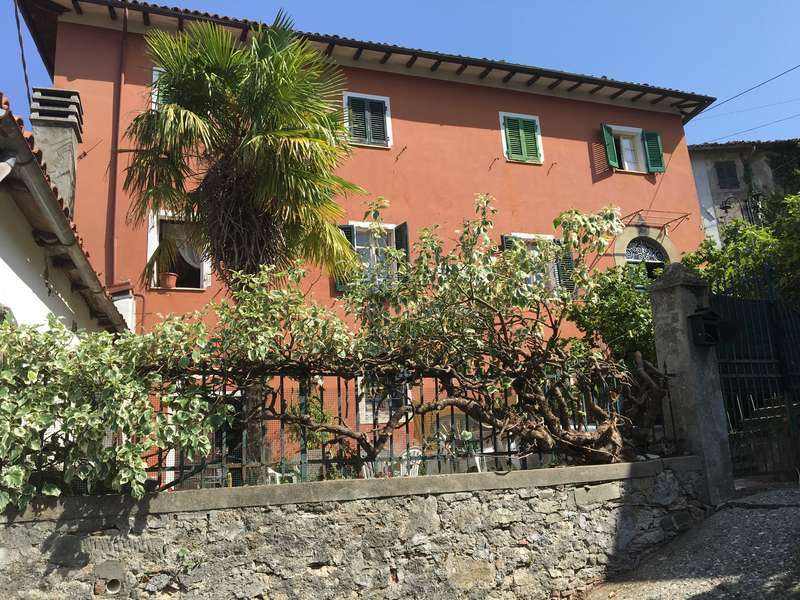 Help with childcare in the beautiful city of Lucca, Italy.